Do You Like to Forward Press? A forward press is a useful trigger to start the stroke, but should be used with care because it can affect the loft and the alignment of the putterface if the hands are moved too far forward. However, some people use the forward press simply to position their hands slightly forward of the ball. 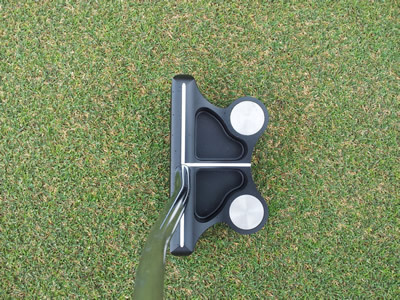 This is best accomplished by a putter with an offset shaft, such as our Frankly Frog putter with center offset shaft option which is often selected by many people who prefer their hands to just be slightly ahead of the ball.